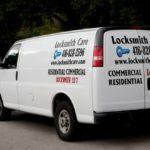 Locksmith Care » In which situations can you allow yourself not to call a licensed locksmith in Scarborough? 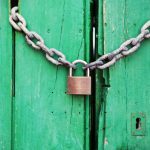 In which situations can you allow yourself not to call a licensed locksmith in Scarborough? There are a number of door lock problems that should make you call a Locksmith in Scarborough Ontario. Fortunately, some of them you may be able to solve alone with some dexterity and the necessary tools. 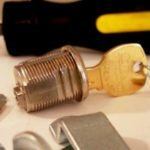 Besides tools and some supplies, you will also need the helpful tips that you will find in this article. Before deciding whether to call a locksmith or to deal with the problem yourself, you need to find out what is the source of the problem. Very often the locking mechanism does not work because the cartridge is very dirty and sometimes too dry. In one case, you will have to disassemble the lock and clean it, and in the other – to lubricate it. Lubricating the locks is not a simple task. For this purpose, it is necessary to use special lubricants containing graphite. Ordinary oils are improper because they contain a certain percentage of water and over time the metallic components will be covered with rust. Improperly installed door will also interfere the locking. Think about whether the problem exists from the installing of your new door. It may have appeared later. If the wrong installation is the problem, you will have to call the professional who has install it to fix the problem. Some Locksmiths in Scarborough will also be able to correct the mounting error. When the latch bolt does not fit the strike plate, it usually is because of the dislocation of one of the two elements. The reasons for the deviation of the two elements are many – from climate to improper use, even those related to the long period of use of the lock. Fortunately, this problem is easily corrected. You will need a screwdriver to unscrew the bolts on the plate located on the door frame. After loosening the metal plate, start moving it slightly up and down, tracking in which position the two opposite parts of the closure match perfectly. 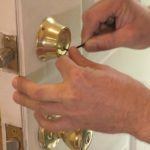 Once you have established the exact location where the latch and the hole match, fix the plate by tightening the bolts that keep it in place. Keep in mind the following: it is possible for the door to collapse slightly and latch bolt does not reach the plate at all. While interior doors suffer mainly from wear and tear, the exterior frost at extremely low outside temperatures. The result would be the inability to unlock and get into your home, and the difficulty of closing the door because the lock mechanism moves very slowly. In both cases, you can use an aerosol lock de-icer. The de-icer contains alcohol and lubricating oils, also contributing to the degradation of corrosion and dirt, not just to melt the ice formed in the lock. Inject a small amount into the opening of the mortise and move the handle of the lock to spread the substance to all the mechanisms. In the event that the problem is not solved in this way, it may be a broken part of the mechanism, that is, a need for repair or a change of the whole lock. 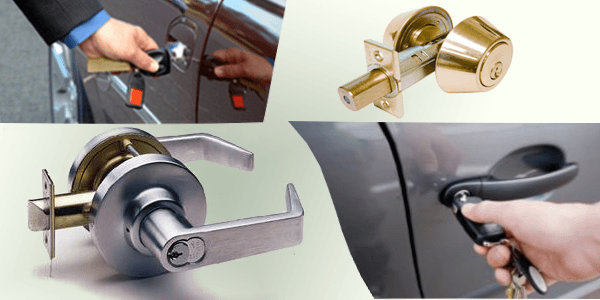 We advise you to look for an experienced Locksmith in Scarborough to repair / replace your door lock. If it is a front door, it is good to ask for a new mechanism with a higher degree of security.